Scatter, Adapt, And Remember is about that most important issue, the long-term survival of our species. In a quest to work out what will give us the best chance of survival, Annalee Newitz takes the longest view: from early prehistory to the far future. Early chapters deal with the natural history of mass extinctions, and what they can teach us. Mass extinctions often mark the boundary between one prehistoric era and another. The author describes the Great Dying and theories behind its causes. Then the book goes onto the Proterozoic Oxygen Apocalypse, when cyanobacteria altered the atmosphere of Earth, cooling the planet and killing off species until creatures evolved to absorb the oxygen. The account follows the Ordovician, Devonian, Permian, and Triassic extinctions and subsequent flowerings of new life amongst the survivors, before dealing with the extinction event around 65 million years ago that doomed the dinosaurs. There are competing theories about the exact course of events during a number of these extinctions. However, overall it's fascinating, not least due to the parallels with our current problems with climate change, habitat loss, and the loss of many species due to species invasion. Because humans are so widespread it's easy to assume we always will be. So the author takes us back to times when humans nearly died out, and also to a group of humans - the Neanderthals - that did go extinct. Or did they? Many modern humans have Neanderthal DNA, and the mystery of how many were murdered versus how many bred out by modern humans remains unsolved. Broaching modern history, Newitz takes a look at the Jewish diaspora and its value as a survival strategy. From there we leap to cyanobacteria and how little we know about photosynthesis, to whale memory, to the history of cities, to pandemic planning, and the psychological challenge of underground living. The book makes a coherent narrative about how key the strategies of scattering, adapting and remembering are to the struggle to survive, but it really is all over the place in terms of the science and history used to illustrate and explore these points. It would take an extreme polymath to fail to find something surprising in this book. The fifth part of the book looks to the future, discussing biotech cities, geoengineering the atmosphere, what to do about a catastrophic asteroid impact, a space elevator, and how humans will change if we go to space. There's some wild speculation and science fiction in this section, and not just the references to science fiction authors and films. 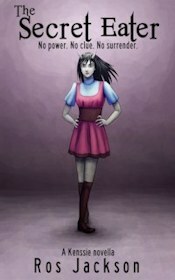 When the author tackles uploading our brains, and the prospect of an AI singularity her fondness for sf shines through. However, this section was the weakest for me because although it introduces radical concepts, it's necessarily the least grounded in scientific research. Newitz pays the least attention to remembering as a survival factor, which is mainly focused around the section on whales. Data integrity, and the ability to read the reams of books and computer code we currently use to build our civilisation, might prove crucial after a disaster. This topic isn't dealt with in detail. It's an omission that stands out when you consider how languages and writing become indecipherable after only a few thousand years without something like a Rosetta Stone as a key. The breadth of research makes this fascinating. It's accessible, and wears its research lightly. The start of the book is solid, and whilst the final chapters veer towards the fanciful they are both entertaining and thought-provoking. 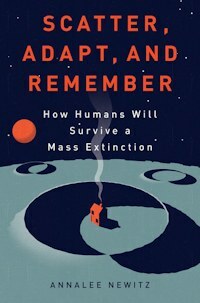 Scatter, Adapt, And Remember should leave many readers thinking differently about the future of humanity. The Neandertals were an evolutionary offshoot that died out. But what did they have in common with us, and what were they really like? We are in the middle of a mass extinction event, caused by the actions of mankind. This book tells the story so far, and examines how we are changing the biosphere. Alice Roberts looks at the amazing journey of human development and why our bodies have evolved in the way they have.